What Claire Did: Microwave Cooking… It’s Not The Enemy! 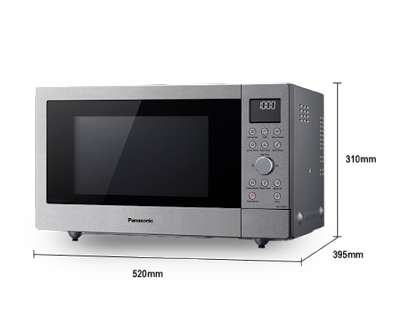 Microwave Cooking… It’s Not The Enemy! Readers, a slightly different post for me tonight, as I wanted to chat about that thing that sits in the corner of our kitchen, has several settings and a digital clock on it. It beeps after a few minutes… yep, it’s the microwave. 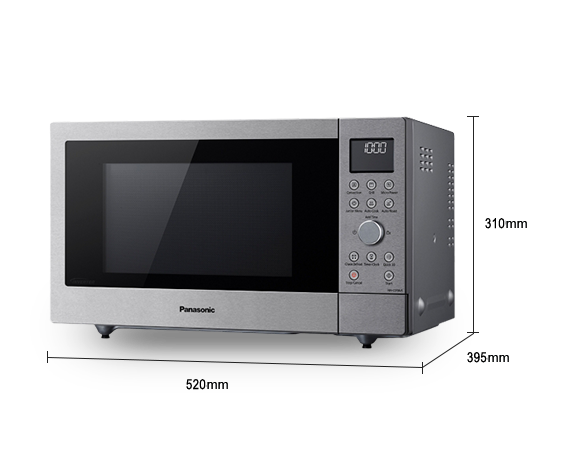 Microwaves get a bit of a bad press, but to coincide with the launch of Panasonic’s new range of Combi Microwave Ovens, I’m sharing 5 reasons why microwaves aren’t the devil’s cooking equipment. Great tool on the Panasonic website - providing specs and dimensions, to help you plan your kitchen space! Thing is, you genuinely don’t need to fire frozen microwave meals in there. Honestly. I’m a huge fan of re-heated leftovers in the microwave. Or my other favourite is the baked potato trick. Stick it in for 8-10 minutes depending on size and then finish off in the oven for a 5-10 minutes for the crispy skin effect. It’s a lot quicker than putting a raw potato in an oven. Trust me. If you’re like me and love cooking, but are often time pressed, Sunday is a great day to lock yourself in the kitchen and cook away. Tupperware becomes your best mate and you can cook up, batch up and freeze your home made creations, ready for reheating. And to number 3 – my point above – once you’ve made all these cracking batch dishes, you’ll be able to hit the defrost function and speedily defrost those leftovers. Word of warning though – don’t do it with raw meat that’s frozen. Do the whole “leave in fridge for 24 hours” thing with that. The defrost function is great for bread and rolls to… or if you’re in a hurry for your ice cream, 20 secs on defrost will get the spoon in the tub quicker. Just saying. And the holy grail of PMT induced cooking… cake in a hurry. I’ve got an old recipe on my blog (apologies about the photos – it was a hurried post) that shows you how to make a cake in a mug, in the microwave. Get it bookmarked, one day you’ll thank me for this speedy sugary treat. Disclaimer: this post is sponsored by Panasonic. Any opinions expressed are my own.